You just wrote a book about “Cybertheology”. What is it? Why is it so important for you regarding the future of the Church and its ability to answer to modern challenges of communication? The Internet has become part of everyday life for many people, and for this reason it increasingly contributes to the construction of a religious identity of the people of our time, affecting their ability to understand reality, and therefore also to understand faith and their way of living it. The Net and the culture of cyberspace pose new challenges to our ability to formulate and listen to a symbolic language that speaks of possibility and of signs of transcendence in our lives. Perhaps the time has arrived to consider the possibility of a cybertheology also understood as the intelligence faith in the era of the Net. It would be the fruit of faith that releases from itself a cognitive boost at a time in which the logic of the Net influences the way we think, learn, communicate and live. This is way I wrote the book “Cyberteologia. 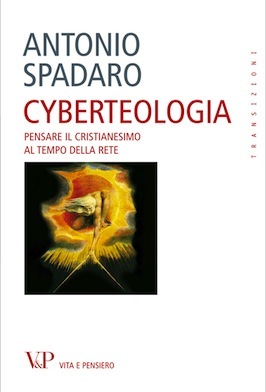 Pensare il cristainesimo al tempo della Rete” (Cybertheology. Thinking faith at the time of the Net). I also publish a blog http://www.cyberteologia.it and a Facebook page. The internet is part of the “environment” in which we live made by connections, relations, communication and knowledge. The Church is now very active on the internet not merely “to be present”, but for a natural immersion of Christianity in place of the life of human beings. This presence naturally poses a series of questions on an educative and pastoral level. But there are also critical points emerging that regard the same understanding of the faith of the Church, as I told you already. On the time being we need to consider the internet theologically. It has ben very intriguing and insightful for me to read what the first real “hackers” wrote in the Seventhies. Of course I’m not talking about “crackers”, the IT criminals. Investigating the hacker’s way of life and intellectual pursuits, based on creativity and sharing, I saw their compatibility with a Christian vision of life. Without unduly comparing the hacker and Christian communities, I want to say that Christians and even hackers today, in a world devoted to the logic of profit, have much to give each other, as is demonstrated by the experience of hackers who make their faith a boost to their creative work. How Internet is changing the way we witness our faith ? How Internet is changing the way we interact as catholics from the same community or different parishes or different countries? With his most recent messages for the World of Communications Day, the Pope expressed his thoughts on the digital era. His principal interest is that communication and its technologies place man as its centre and its principal concern in order to help satisfy the desire for meaning, truth and unity, which remain the deepest aspirations of human being. In particular, now, at the time of the «social networks» when every man is always directly involved in what he communicates, the Pope urges the faithful to a very challenging authenticity of life: when people share information, they are already sharing themselves, their world view, their hopes, their ideals. Christians on the Net are therefore called to be witness which affects choices, preferences, judgments, even when not explicitly speaking of the Gospel. New technologies have created a space of experience with which even the Christian worship is involved. It is noted that a human being, even when he/she navigates the Internet, expresses the desire to pray, even in a liturgical form. Do you think the Catholic church is late on the Internet challenge? 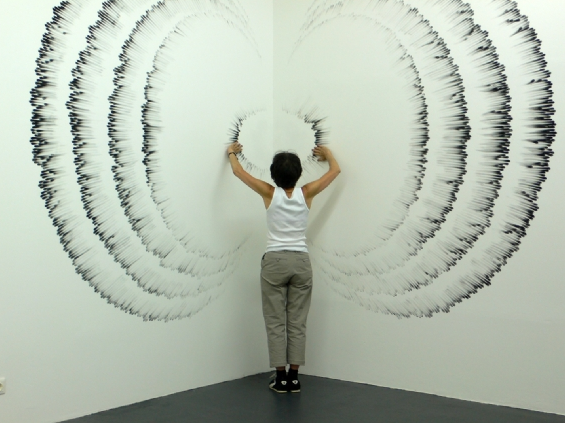 spread horizontally, pushing from the bottom up. For instance, hosting a meeting for bloggers in the Vatican, last year, the Church recognized the relevance of these phenomena and to encourage a dialogue between faith and culture at this level. This entry was posted in articolo and tagged church, cyberspace, cyberteologia, cybertheology, faith, hackers, trascendence. Bookmark the permalink. Io penso che è un falso problema,da tutti i punti di vista.La cibernetica è una opportunità in tutti i sensi,è un’accelerazione del pensiero e dell’azione. Alla base dovrebbe rimanere l’uomo ed il rispetto per la sua dignità ed individualità.